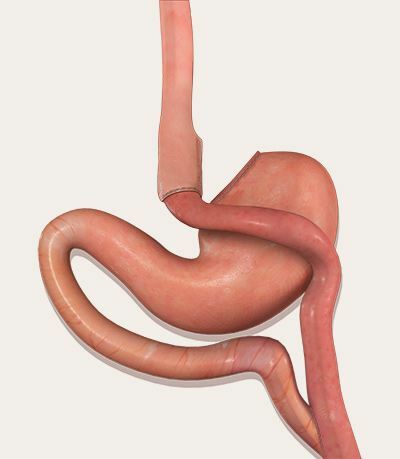 Gastric Bypass Surgery is an extremely effective weight-loss procedure in which the size of a patient’s stomach is decreased, so that only small portions of food can be consumed, and a portion of the intestine is bypassed, meaning that less kilojoules and nutrients are absorbed. Gastric Bypass procedures are often the most effective treatment for patients suffering from morbid obesity. 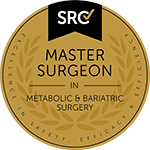 Dr. Kuzinkovas is a top bariatric surgeon that performs gastric bypass surgery in Sydney for patients that have had no success losing weight through non-surgical means. If you are morbidly obese or are overweight with a co-morbid condition, gastric bypass surgery may be a suitable treatment. Within the first two years patients can expect to lose between 70-80 percent of their excess body weight. Individuals who suffer from excessive (super) obesity and multiple co-mordid disorders may not qualify for this treatment, due to the high surgical risks associated with undergoing anesthesia. Decisions relating to the suitability of this procedure are made on a case-by-case basis. Leaking in the surgical connection between the intestines and the stomach. Before the procedure Dr Kuzinkovas will run a series of tests to ensure that patients are ready for surgery. Patients may need to lose weight, start exercise, or change their diet to prepare for the procedure. After surgery there are several stages in the recovery and treatment process. Adhere to a strict liquid only diet for several days, before moving on to pureed foods. Rest for 2-3 weeks before resuming normal activities. Advance to a transitional diet, gradually reintroducing normal foods to their diet. Feel slightly ill or lack energy. Approximately six months after surgery patients will adopt a long-term diet plan designed to help them maintain their desired weight. 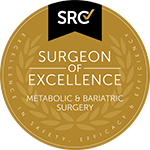 In the first two years after surgery patients typically lose between 70-80 percent of their excess body weight. There is a chance that some patients may gain ten percent of their body weight back in the fifth year. There are a number of factors which may influence the final gastric bypass surgery cost, including hospital fees and the price of medications. Dr Kuzinkovas will be able to provide a more detailed quote after consultation.